You'll explore the less-touristy side of things at Melk Abbey and Albertina. Step out of Vienna to go to Weissenkirchen and see Wehrkirche St. Michael, which is approximately 1h 35 min away. There's lots more to do: take in nature's colorful creations at Schonbrunn Palace, make a trip to Rathausplatz, admire the landmark architecture of Rathaus, and steep yourself in history at Belvedere Palace. For more things to do, photos, ratings, and more tourist information, you can read our Vienna planning site . Melbourne, Australia to Vienna is an approximately 25-hour flight. You can also do a combination of flight and train; or do a combination of train and flight. The time zone changes from Australian Eastern Standard Time (Victoria) to Central European Time, which is usually a -9 hour difference. In September, Vienna is a bit warmer than Melbourne - with highs of 24°C and lows of 13°C. Finish your sightseeing early on the 20th (Fri) so you can travel to Zurich. You'll discover tucked-away gems like Mt Pilatus and Mount Titlis. Explore the numerous day-trip ideas around Zurich: Lucerne (Chapel Bridge & Lake Lucerne) and Interlaken (Hohematte Park & Parasailing & Paragliding). The adventure continues: wander the streets of Old Town (Altstadt), take an in-depth tour of Swiss National Museum, take in the architecture and atmosphere at Grossmunster, and contemplate the waterfront views at Lake Zurich. To see more things to do, other places to visit, ratings, and other tourist information, read Zurich trip planning website . Fly from Vienna to Zurich in 4 hours. Alternatively, you can do a combination of flight and train; or drive. Expect a daytime high around 22°C in September, and nighttime lows around 12°C. Finish your sightseeing early on the 24th (Tue) to allow enough time to drive to Freiburg im Breisgau. Kick off your visit on the 25th (Wed): stroll through Seepark, get a sense of history and politics at New Town Hall, then explore the different monuments and memorials at Alter Friedhof, then admire the landmark architecture of Munsterplatz, and finally take in the spiritual surroundings of Freiburger Münster. 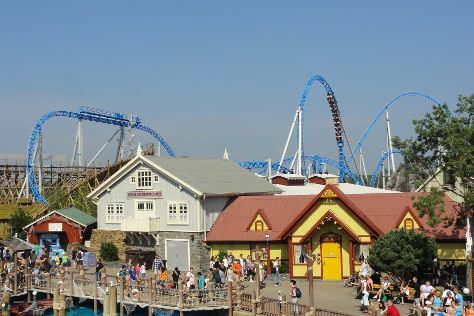 On the 26th (Thu), you'll have a packed day of sightseeing: get in on the family fun at Europa-Park. Discover how to plan a Freiburg im Breisgau trip in just a few steps with Inspirock's itinerary builder. You can drive from Zurich to Freiburg im Breisgau in 2 hours. Alternatively, you can take a train; or take a bus. September in Freiburg im Breisgau sees daily highs of 25°C and lows of 12°C at night. Cap off your sightseeing on the 26th (Thu) early enough to go by car to Villingen-Schwenningen. Villingen-Schwenningen is a city in the Schwarzwald-Baar district in southern Baden-Württemberg, Germany. On the 27th (Fri), examine the collection at Uhrenindustriemuseum, then get outside with Schwenninger Moos, and then tour the pleasant surroundings at Kur- und Erlebnispark. To find ratings, traveler tips, other places to visit, and more tourist information, read Villingen-Schwenningen online trip maker . Drive from Freiburg im Breisgau to Villingen-Schwenningen in 1.5 hours. In September, daytime highs in Villingen-Schwenningen are 25°C, while nighttime lows are 12°C. Wrap up your sightseeing on the 27th (Fri) early enough to travel to Biberach (Riss). On the 28th (Sat), explore the world behind art at Braith-Mali-Museum, steep yourself in history at Weberberg, and then make a trip to Weisser Turm. To find reviews, other places to visit, more things to do, and tourist information, go to the Biberach (Riss) trip planner . Traveling by car from Villingen-Schwenningen to Biberach (Riss) takes 2 hours. Traveling from Villingen-Schwenningen in September, expect nights in Biberach (Riss) to be about the same, around 10°C, while days are little chillier, around 21°C. Finish up your sightseeing early on the 28th (Sat) so you can travel to Karlsruhe. One of Germany's first truly "planned" cities, Karlsruhe is naturally a center for technological development and important national institutions. You'll explore the less-touristy side of things at Heidelberg Castle (Schloss Heidelberg) and Wolfsschlucht. Explore Karlsruhe's surroundings by going to Elwedritsche-Brunnen (in Neustadt an der Weinstrasse), Burgruine Drachenfels (in Busenberg) and Heidelberg (ENMAZE LiveGames, Altstadt (Old Town), & more). There's still lots to do: hike along Dahner Felsenwanderweg and have some family-friendly fun at Laserbase Karlsruhe. To see other places to visit, photos, ratings, and other tourist information, use the Karlsruhe trip planning website . You can drive from Biberach (Riss) to Karlsruhe in 2.5 hours. Finish your sightseeing early on the 1st (Tue) to allow enough time to take a train to Frankfurt. Explore hidden gems such as Würzburg Residence and Burg Eltz. 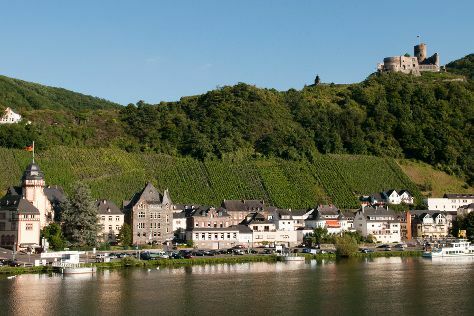 Explore the numerous day-trip ideas around Frankfurt: Alte Mainbruecke (in Wurzburg), Johannes Deppisch Winery (in Erlenbach bei Marktheidenfeld) and Reichsburg Cochem (in Cochem). There's much more to do: admire the landmark architecture of Romer, learn about winemaking at Mosel Valley, wander the streets of Historische Altstadt Wetzlar, and make a trip to Deutsches Eck (German Corner). To find out how to plan a trip to Frankfurt, use our trip itinerary maker. Take a train from Karlsruhe to Frankfurt in 1.5 hours. Alternatively, you can drive; or take a bus. In October, daily temperatures in Frankfurt can reach 17°C, while at night they dip to 9°C. Finish your sightseeing early on the 5th (Sat) so you can travel to Berlin. Step off the beaten path and head to Berliner Dom and Room Escape Games. When in Berlin, make a side trip to see Memorial and Museum Sachsenhausen in Oranienburg, approximately 46 minutes away. Next up on the itinerary: don't miss a visit to Reichstag Building, admire the natural beauty at Großer Tiergarten, steep yourself in history at East Side Gallery, and explore the world behind art at Pergamonmuseum. To find where to stay, more things to do, photos, and other tourist information, read Berlin trip builder tool . You can fly from Frankfurt to Berlin in 3 hours. Other options are to take a train; or drive. Cap off your sightseeing on the 9th (Wed) early enough to travel to Dusseldorf. 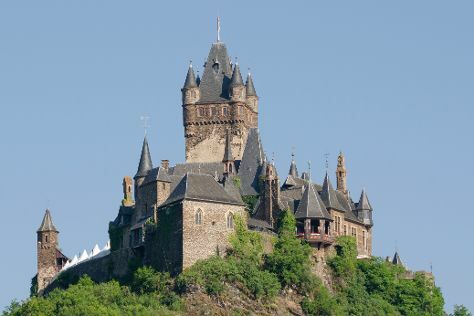 Explore hidden gems such as Reichsburg Cochem and Adrenaline & Extreme Tours. Venture out of the city with trips to Burg Thurant (in Alken), Burg Eltz (in Wierschem) and Koblenz (Kunstgasschen Koblenz & Deutsches Eck (German Corner)). There's lots more to do: admire the striking features of Cologne Cathedral, pause for some serene contemplation at St. Laurentius Ahrweiler, admire the natural beauty at Eifalia Butterfly Garden, and contemplate in the serene atmosphere at Aachen Cathedral (Dom). To find other places to visit, more things to do, and other tourist information, use the Dusseldorf route planner. Traveling by flight from Berlin to Dusseldorf takes 3 hours. Alternatively, you can do a combination of flight and train; or drive. In October in Dusseldorf, expect temperatures between 17°C during the day and 9°C at night. Wrap up your sightseeing on the 13th (Sun) to allow time to drive to Antwerp. Discover out-of-the-way places like Belfry of Bruges and Ghent City Center. Venture out of the city with trips to Pairi Daiza (in Brugelette), Bruges (Stadhuis, Burg Square, & more) and Brussels (St. Michael and St. Gudula Cathedral (Cathedrale St-Michel et Ste-Gudule), Grand Place, & more). Next up on the itinerary: admire the landmark architecture of Central Station and don't miss a visit to Huisje van Majutte. For more things to do, photos, ratings, and tourist information, read Antwerp road trip site . You can drive from Dusseldorf to Antwerp in 2 hours. Alternatively, you can take a bus; or do a combination of flight and train. In October, plan for daily highs up to 18°C, and evening lows to 9°C. Wrap up your sightseeing on the 17th (Thu) to allow time to take a train to Amsterdam. Eschew the tourist crowds and head to Zaanse Schans and Room Escape Games. Change things up with a short trip to Rotterdam Centraal Station in Rotterdam (about 1h 20 min away). Spend the 20th (Sun) exploring nature at Kennemer Dunes National Park. There's lots more to do: explore the world behind art at Van Gogh Museum, don't miss a visit to Anne Frank House, explore the galleries of Museum Het Rembrandthuis (Rembrandt House), and sample the tasty concoctions at Heineken Experience. To find ratings, maps, photos, and more tourist information, refer to the Amsterdam tour itinerary planner. You can take a train from Antwerp to Amsterdam in 1.5 hours. Alternatively, you can drive; or take a bus. Expect a daytime high around 17°C in October, and nighttime lows around 9°C. Cap off your sightseeing on the 23rd (Wed) early enough to travel back home.